Anyone famous in it? Former Hollywood star Stewart Granger and French actor Pierre Brice play the lead roles. Look out for euro-cult stars Elke Sommer, Letícia Román and Terence Hill. 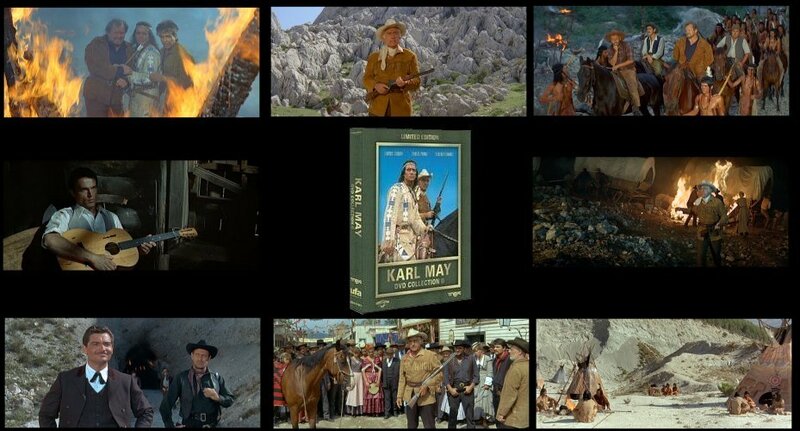 Existing fans of the Karl May Westerns will certainly be interested in this trio of films. For newcomers, this set will certainly appeal to those who are big Western fans, but anyone looking for the epic adventure films in the series, the Shatterhand films will appeal more. The picture quality is good, with generally light grain and minimal print damage. Audio Parts I and III have German and English language audio, part II has just German audio. Generally sounds strong. English (this track translates the English soundtrack, so there are some discrepancies when watching the German as the translations are different) - only in parts I and III. The three Surehand films - solid entries and all enjoyable for fans of the series, also recommended to newcomers who like their films with less adventure and more of a Classic Western feel. Unfortunately, although the boxset contains lovely looking prints of all three films, only two have English options, with part 2 in German only. The interesting looking extras are similarly unsubtitled although the clips can be watched on their own. The set is worth getting, as there are no proper English language versions of the films out yet.